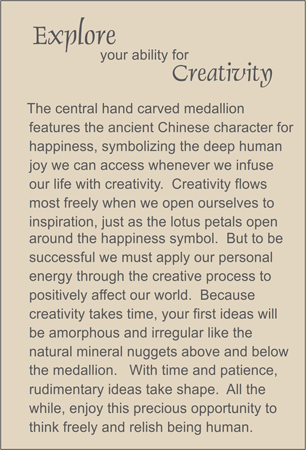 A hand carved, openwork bone medallion depicts a lotus flower for creativity. The two-strand necklace features bone ellipses woven to represent the eternal knot for love. Faceted black onyx three-sided barrels and faceted rondelles complete the design. Sterling silver bar clasp.